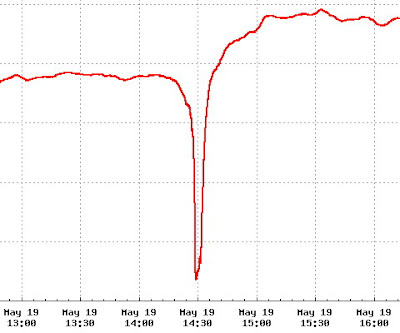 The chart was taken on the 19th June, one week after the WenChuan earthquake during the 3 minutes of silence to remember and mourn for the victims of the catastrophe. Its a clear sign of unity taken voluntarily by all the internet users in China showing a respect and regards for both that had lost the lives and also for all the affected victims. This is truly unprecedented. Michael Zhao made a 9 mins video on the May 12's Wenchuan Earthquake with English subtitles.